This year for SXSWi, 10 crazy Dutch startups have banded together to form “The Amsterdam Fellows” with plans to descend upon Austin, Texas this March for a week of debauchery and digital fun. The Amsterdam Fellows are known for their invite-only get-togethers, as well as open events in various, flexible locations. Think of a ‘Pop Up’ society that brings people together from the technology and digital media industry and combines business with pleasure. This year, the group will be taking over as hosts of Maggie Mae’s, one of biggest pubs on Sixth St during SXSW. The official Amsterdam Fellows Opening Party kicks off on March 9th with special VIP offerings. Crazy parties will continue throughout the week and will culminate in a closing party on March 12th. Check out our Facebook Sweepstakes for a chance to win VIP tickets to the opening party. Amsterdam has one of Europe’s most flourishing tech scenes and lately Silicon Valley has taken notice. Companies like Comscore (Nedstat) and Facebook (Sofa) have acquired Dutch startups recently, while Amsterdam based Cloud9 and Layar have raised over $15 million from Valley-based VCs. The Amsterdam Fellows are a group of creative entrepreneurs from Holland who are riding the latest wave of hot Dutch startups to enter the US market, with companies varying from photo search technology, consumer applications and music services. The founders of all these companies including Foodzy, 22tracks, Usabilla, LayerGloss, Skylines, Fuga, Viadeo and Joyn DayCare will be at SXSW Interactive. 2. No cover charge, but a Wheel of Fortune with a meter beer? There won’t be a cover charge at any of the Amsterdam Fellows Events, but everyone gets to spin the Wheel of Fortune with a shot at winning a full meter of beer. Why a meter? Because a meter is more than a foot. It’s actually even more than a yard. Everyone has heard of Tiesto, Armin van Buuren and Afrojack, and the Dutch club scene has a wide variety of hot club DJ’s that are making waves internationally. The Amsterdam Fellows are bringing the eclectic sounds of Bart Thimbles to SXSW this year, with a few surprise acts popping up at very irregular intervals. Yes, those lovely PA’s (personal assistants) by day turn into the most elegant and exciting stage performers at night. And The Amsterdam Fellows are bringing no less than six of Amsterdam hottest talents to Austin this year. We may even be late night paddle boarding. Besides the founders, the beer, the DJ’s and the girls, The Amsterdam Fellows aim to throw the best parties at SXSW by just having a lot of Dutch people there. You’ve seen the World Cup: those mad men and hot girls in orange, that’s us. 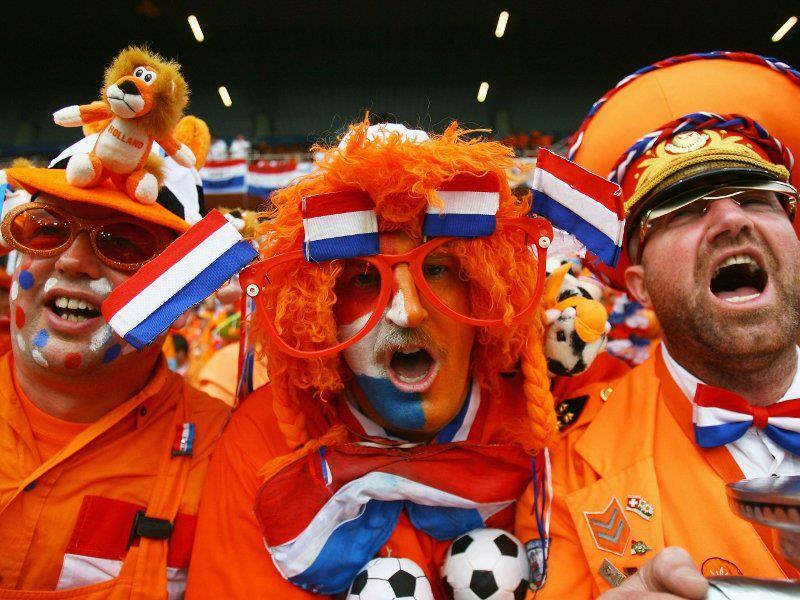 Win or lose – it’s a party when the Dutch are in town.